ARTISTRY OF WATER, TILE AND STONE FAZOLI BROTHERS INC. is the premier specialty pool building company, delivering the ultimate level of service and construction to the residential market. Built on the premise that passion breeds success. FAZOLI BROTHERS INC. has created a powerful brand that services an exclusive client list. The company's strict focus on its core specialties fuels its drive to position it as a market leader in each segment. Our reputation and client satisfaction are the company's greatest commodities and we value them as such. Paradise Pools of the Keys,Inc. 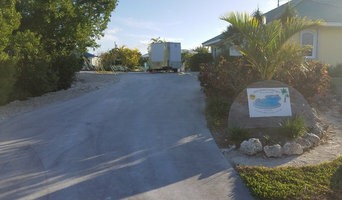 Paradise Pools of the Keys, Inc.
Paradise Pools of the Keys, Inc. has over 40 years of experience in installing and renovating concrete and fiberglass swimming pools. We are a residential and commercial certified swimming pool contractor and have over 1000 pools that we have installed throughout Florida and south Georgia. We pride ourselves on quality at a reasonable price. Satisfying our customer's is always most important. We help Create & Maintain your Tropical Paradise Based in both Ocean Reef Club - Key Largo, Florida and Coconut Grove - Miami, Florida, Reef Tropical is a full service pool and landscape company. By servicing most of South Florida, Reef Tropical offers complete pool construction, pool maintenance & repair along with complete landscaping (design, install maintain) which allows for absolute familiarity in repairing and servicing all types of pools and landscapes. Our competencies let customers create a tropical paradise with minimal maintenance to ensure maximum pleasure. Reef Tropical has all of the expertise, insurance, locations, staffing and quality to heighten the beauty and alleviate responsibility. The Pool Man of Key West, Inc.
Dan and his wife Paulette bought an existing pool company in 2004, which was called “The Pool Man” and had approximately 90 accounts. The company had been run by a local resident, which used subcontractors and hired outside labor. They used unmarked vehicles, which looked totally unprofessional. Dan wanted to create a company that he could be proud of and decided to build the business by doing everything legal and by the laws of State of Florida. Our employees are covered by workers compensation. The trucks are lettered and our licenses are displayed on them, as they are required to be by law. Dan is a contractor in the State of Florida and the company is capable of performing repairs, remodels and installation work. There are considerable liabilities associated with the swimming pool industry, which is why his company holds complete liability coverage and is completely legitimate in every sense of the word. No home or business owner should ever be subjected to safety liability issues or complications because of unlicensed and illegal work. He decided to go about being in business the correct way and the result was a business that has grown in leaps and bounds. Our customers are important to us. Each of our technicians is certified as a Swimming Pool/Spa Certified Pool Operator . Each member of our team is proud of the work we do and the relationship we have with our customers. We value the golden rule, our prices will always be fair and we respond to you as quickly as possible. The pool and spa equipment we offer is both affordable and top quality. 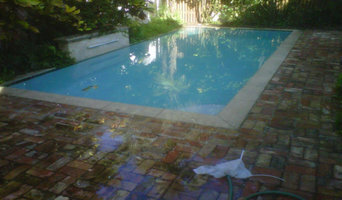 We provide daily, weekly pool and spa maintenance. So sit back and enjoy a relaxing day in your pool and spa, we’ll take care of the rest. We are a state licensed commercial pool & spa contractor (since 2003). We service, maintain & repair your pool, spas, waterfalls, water features, and equipment, including pumps, filters, heaters (electric & gas), lights, controls, perform leak repairs, remodel, refurbish, and/or renovate pool and spa coping, tile, plaster finish (Diamond Brite & Pebble Tec), install ladders, handrails, heaters, salt chlorine generators, and automated controls. 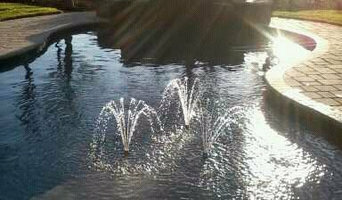 We construct new pools, spas, waterfalls, water features, and swim jets. Largest pool and spa supplier in the entire Florida Keys. Carry all of the major brands and parts to keep them running. Retail swimming pool supply and concrete custom designed pool store located in Marathon, FL. Free water sample testing, chemicals sold and advise. Pumps, motors, filters, o-ring gaskets, large inventory of filter cartridges. Custom pool design by A. Dennis Kulig, 45 years of pool design. What exactly do Summerland Key pool builders do? If you are planning for a new pool in Summerland Key, FL, a swimming pool builder will analyze your outdoor space and your aesthetic wishes to determine an appropriate design for your yard, installing it once the plan is developed and approved. Once installed, some pool companies in Summerland Key, FL can handle the necessary cleanings, water testing, renovations and equipment replacement or repairs for your pool or spa. If not, many can also suggest Summerland Key, FL swimming pool contractors or maintenance services to help with upkeep or repairs down the road. Here are some related professionals and vendors to complement the work of swimming pool builders: Garden & Landscape Supplies, Landscape Architects & Landscape Designers, General Contractors, Landscape Contractors, Solar Energy Contractors. Before hiring a swimming pool construction company to create your new Summerland Key, FL pool, determine how you'll be using it. Will it be for fun or for lap exercise? Will the primary users be children, adults or a mix of the two? Knowing the use can help you find Summerland Key pool builders who shares your aesthetic. Once you find swimming pool builders in Summerland Key, FL who share your style, research is critical. Review customer references and comments, collect at least three to four estimates to compare, meet with potential Summerland Key pool designers and builders in person and ensure that they are Florida certified service professionals and licensed with the registrar of contractors before making any final decisions. In addition, get a sense whether they plan to complete the pool installation and be done with it, or whether they seem interested in building a long-term relationship with you. Be wary of the former: it's likely a reflection on the level of quality of the pool construction they do. Find a Summerland Key pool contractor or designer on Houzz. 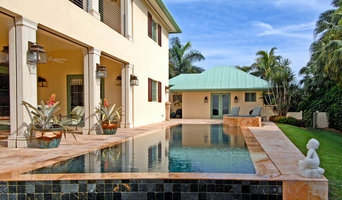 Narrow your search in the Professionals section of the website to pool builders in Summerland Key, FL. You can also look through Summerland Key, FL photos by style to find a pool or spa you like, then contact the local pool company who designed it.